Have the ideal and romantic western wedding in Dallas! 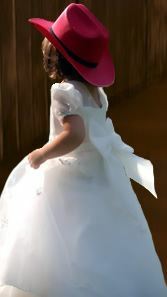 Begin your life together with an unforgettable western wedding in the historic district of downtown Dallas at the Y.O. Steakhouse. Heighten the sense of occasion amidst authentic, rustic, Texas décor, providing a backdrop of warmth and beauty to your western wedding festivities. Western Weddings at The Lodge at the Y.O. The Y.O. Steakhouse in Dallas claims its true Texas heritage from the internationally known Y.O. Ranch, a Texas tradition since 1880, located in the beautiful Hill Country of the Lone Star State. Bringing the ranch to Dallas, The Lodge Banquet Facilities at the Y.O. are housed in a re-created 50-year old barn from the Y.O. Ranch, with rustic surfaces, antler chandeliers,western saddles and other western décor. The Lodge features a private entrance and is an ideal western wedding and reception setting in Dallas, with accommodations for 150 guests for a sit down dinner or up to 300 for a wedding reception. 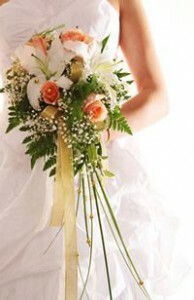 Each wedding is treated with undivided attention…whether it is a group of twenty or three hundred. The YO Steakhouse in Dallas wedding staff will help you create the ultimate western wedding in our unique venue with remarkable service to make your event memorable. Once we have discussed your vision and what is important to you, we will work with you to make your western wedding perfect. Leave a lasting impression with your guests with a western wedding in the Dallas location like no other, the Y.O. Steakhouse. To request more information or reserve space for your western wedding, please contact Michael Street or give him a call at 214-389-0981.